Growing patient influence combined with new technologies and the requirements of new reimbursement models means clinical research is undergoing rapid transformation. Industry is being compelled to move towards more patient centric solutions to keep up with these changes. 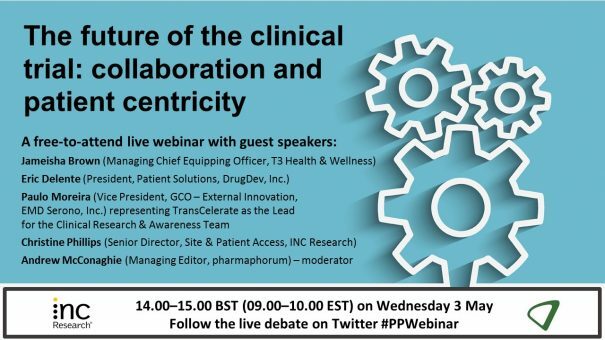 With healthcare stakeholders in agreement that patient engagement is key to realising the value of clinical trials, regulators, sponsors, CROs, research funders and publishers are all moving towards more patient-focused models. With the advent of new methodologies, such as electronic data sources and medical records, recruiting patients for trials now demands extensive collaboration between patients and trial centers to effectively and efficiently run trials. The patient has never been more important. The vital role the patient advocate plays in these matters. This webinar took place on Wednesday 3 May. To watch it on demand, please click on the button above/below. Clinical Trial Awareness Week is designed to shine a spotlight on how the clinical trials process helps deliver safe, effective medicines to patients. As part of this effort, INC Research together with the Center for Information and Study on Clinical Research Participation (CISCRP) released the below animation to share a behind-the-scenes look at how new medicines get to market and ultimately into the hands of the patients who need them. 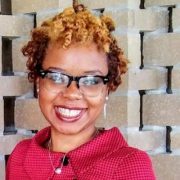 Jameisha “Meisha” Brown, M.S., CHES is pursuing a PhD in Health Education and a Certificate in Non-Profit Management at Texas A & M University in College Station, Texas and a Health Disparities Fellowship at the University of North Texas Health Science Center in Fort Worth, Texas. Additionally, she serves as the Managing Chief Equipping Officer (CEO) of Health & Wellness at Windsor Village Church Family in Houston, Texas. The health and wellness mission is to equip the 18,000+ members of the church and surrounding community with the knowledge and resources necessary to achieve a mentally, spiritually, and physically healthy lifestyle through the provision of faith-based health and research programmes. Her professional research interests are systems modeling for cervical cancer control and HIV among African American women. Moreover, Ms. Brown is a nationally-recognised inspirational speaker known for conveying the importance of “hope” and deconstructing the concept of “greatness” in her messages. Having grown up in disparate living conditions and triumphing over cancer seemingly aided as an incubator for her growth and character development. Coming from these humble beginnings, Brown strategically uses the lessons acquired through adversity to fuel her passion and education pursuits. 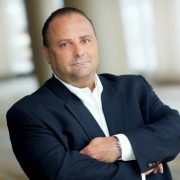 Eric Delente, President, Patient Solutions, DrugDev, Inc.
Eric has been innovating, designing, and developing clinically-oriented education systems for patients and healthcare professionals for more than 20 years. 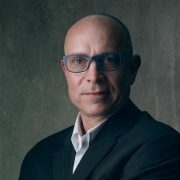 Eric co-founded and led the design and development of the SecureConsent (now part of DrugDev) electronic informed consent form (eICF) product lines, one of the first eICF systems to market and the result of years of deep research, regulatory alignment, and UX testing. Previous to his work in healthcare Eric was a music production engineer, violinist and composer, having recorded and performed with Lenny Kravitz, Vanessa Paradis, Daddy-O, Scott Ambush (Spyro Gyra), Scotty Hard and many others. Paulo Moreira is a Clinical Development executive with 26 years of experience in Clinical R&D. He has been with EMD Serono for the last 16 years in diverse positions within Clinical Development. Presently serves as the Head of Global Clinical Operations External Innovation. In this capacity, Paulo is responsible for Clinical Innovation as well for Patient Centricity in Clinical Development and Operations where he has had a preponderant role in establishing EMD Serono as an industry leader in patient centricity around clinical trials. Paulo is also a Visiting Scholar at Boston College where he teaches at the Essentials of Clinical Research and Project Management Program. Paulo is very active in several industry-wide organizations. He dedicates some of his time to the Steering Committee of the Clinical Trial Transformation Initiative (CTTI). He leads TransCelerate’s Clinical Research Awareness & Access workstream and represents EMD Serono on TransCelerate’s Operations Committee, PhRMA’s Clinical Trial Advocacy Group and fulfills the role as the Global Impact Partner of the Society for Clinical Research Sites (SCRS). Paulo also serves on the Advisory Board of a couple of companies that provide services to the Pharma/Biotech industries. Lastly, Paulo was named to PharmaVoice’s 100 Most Inspirational Leaders of 2015 recognizing his industry leadership around patient centricity. 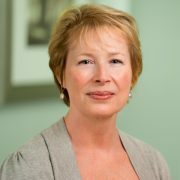 Christine is Senior Director for Site and Patient Access at INC Research, responsible for the strategic planning, development, implementation and maintenance of the group. Christine has expertise across the whole clinical product development life cycle having worked within pharmaceutical companies, clinical research organisations and the National Health Service in the UK. She has supported marketing authorisation applications, health technology assessments and independent research grant applications, as well as building internal expertise through developing and delivering training packages for sales and marketing teams.